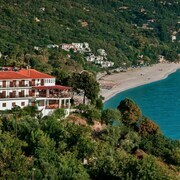 Situated near the beach, this hotel is within 1 mi (2 km) of Chorefto Beach and Tourkopigi Beach. Agii Saranta Beach is 1.9 mi (3 km) away. The views are simply stunning. 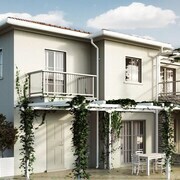 The villa is beautiful, spacious and has everything you need. Vassilis provided us with so much information on what to do and where to go and was genuinely interested in making sure we had a great time. Where to find Chorefto hotels near an airport? Where can I find hotels in Chorefto that are near tourist attractions? 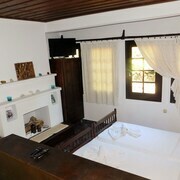 Chorefto offers visitors an amazing range of comfortable short- and long-stay accommodation possibilities to select from. You can search no less than 32 hotel and apartment options within 0.1 kilometres (0.06 miles) of Chorefto's downtown on our informative and up-to-date booking section. One of the ingredients to hassle-free traveling is finding a convenient location to base yourself, so have a look at the Aeolos Hotel and Hotel Agnadi-Horefto, which you'll find within 1 kilometre (0.6 miles) of Chorefto's center. The 12 Months Luxury Resort is positioned 8 kilometres (5 miles) from the middle of Chorefto. 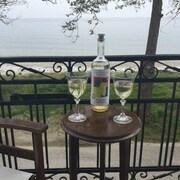 Alternatively, the Valis Resort is located 16 kilometres (10 miles) away. Two more hotel options worth checking out around Chorefto include the Domotel Xenia Volou and the Santikos Mansion. Spend some time enjoying Volos Port and Volos Municipal Theatre, in Volos, 18 kilometres (11 miles) to the southwest of Chorefto. Some of our recommended Volos accommodation options include the Volos Palace and Kipseli Hotel. 15 kilometres (9 miles) to the south of Chorefto, is Pelion, which is home to the Platanofylla Studios & Apartments and Seralis. 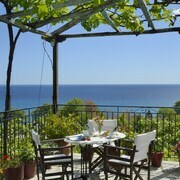 The Damouchari Beach and Museum of the Olive are a couple of the popular attractions to check out in Pelion. Consider spending a few hours rubbing shoulders and cheering along with local sports enthusiasts at a local match. Alkazar Stadium is 65 kilometres (40 miles) to the west of Chorefto. For tourists who are keen on booking a bed nearby, make a reservation in the Divani Palace Larissa or Larissa Imperial. Situated 45 kilometres (28 miles) away from Chorefto is Skiathos Island National Airport. 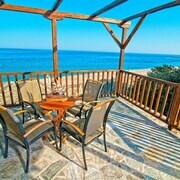 Stay nearby at Kassandra Bay Resort or Aegean Suites Hotel. What are the most popular Chorefto hotels? Are there hotels in other cities near Chorefto? What other types of accommodations are available in Chorefto? Explore Chorefto with Expedia.ca’s Travel Guides to find the best flights, cars, holiday packages and more!